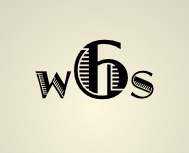 Wordsmith Six members have been writing and critiquing together for many years now, and we are continually exploring opportunities for our work. It’s very exciting to move into new creative venues, and with that I’m happy to announce that two of our members have started their own publishing companies! Yesterday’s Dream – Today’s Reality! Rory C. Keel is now accepting clients for Carpe Diem Publishers, offering complete services for authors. Rory will take your book wide, in print and eBook, and offers a variety of services to help you realize your dream of holding that book in your hand. Carpe Diem Publishers will be publishing our Route 66 collection of novellas soon. Stay tuned. We will let you know as work progresses. If you read this blog on a regular basis, you know my books did not find a home through traditional publishing route, and that’s why I started NKB BOOKS, LLC. I write stories set in the West about the days of horse drawn wagons, cowboys, and the wild Texas frontier. Definitely not something that would appeal to a mainstream audience, but hopefully there is are readers out there who appreciate a good western story as much as I do. I’m working to release my body of work, and that means hiring cover designers, finding formatters, and planning promotional events. I am also working with several people on a few co-authoring projects that I will be publishing through my new LLC. I like the control so far, but it is a lot of work. I am not taking on any new clients at this time. Keep writing and always be on the lookout for new opportunities. You never know where this crazy journey will take you! Several of my author friends have deals for new series set in small-town America or on ranches, with cowboys and horses and great characters. An important component to these type of books is the wide open places, endless sky, and the decent, hard-working people of the west. I don’t think westerns are dead. They’ve been repackaged into stories that are smarter, action packed and more vivid for today’s readers. Western Writers of America is a group devoted to promoting the genre. Members include not only novelists, but song writers, historians, screenwriters, musicians, living history re-enactors, and fans of everything western. WWA members receive a copy of the Roundup Magazine, the official bi-monthly publication of the group. The October 2015 edition just happens to include two of my articles: “Researching West Texas” is a summary of the panel of museum archivists who spoke at the WWA Convention in Lubbock this past summer. “Texas Rangers: Then and Now” is a summary of the keynote given by historian and author, Robert M. Utley. As a member, you’ll benefit greatly from being a part of this organization. Members can have one entry in WWA’s online catalog, one entry on the WWA app, a WWA Star Speakers Listing, and be included on the WWA Facebook Page and WWA Twitter links—all for FREE!